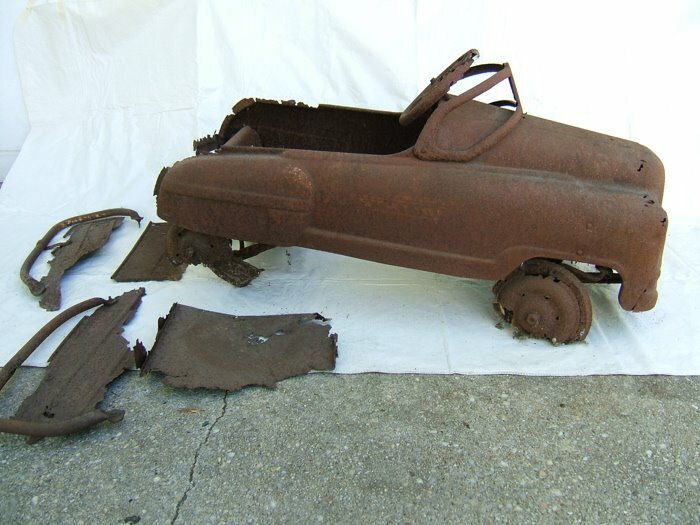 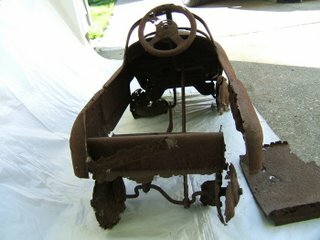 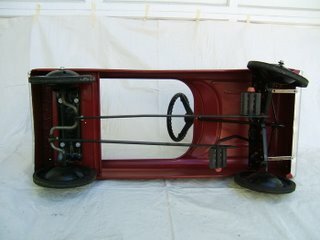 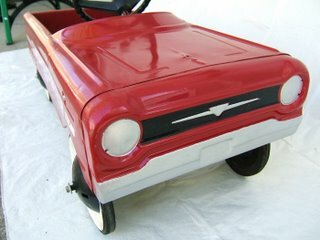 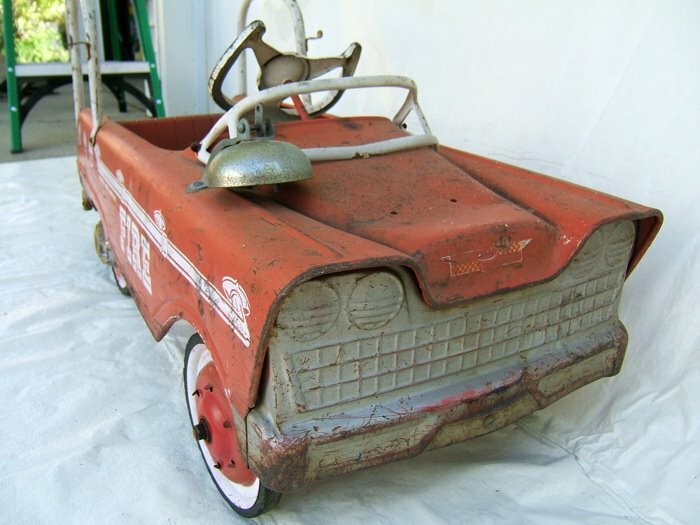 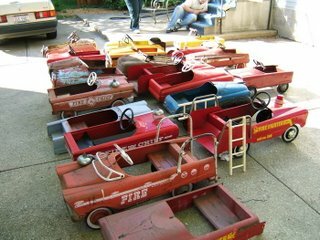 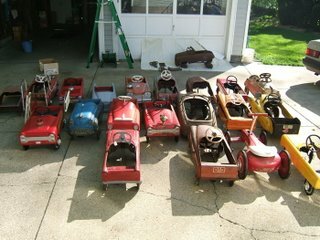 All vintage and classic pedal cars from the 1940s - 1970s. No new reproductions. 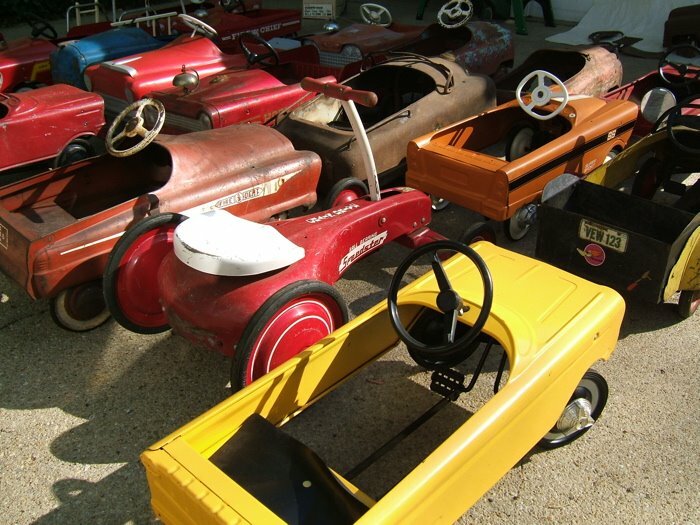 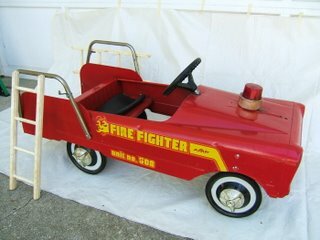 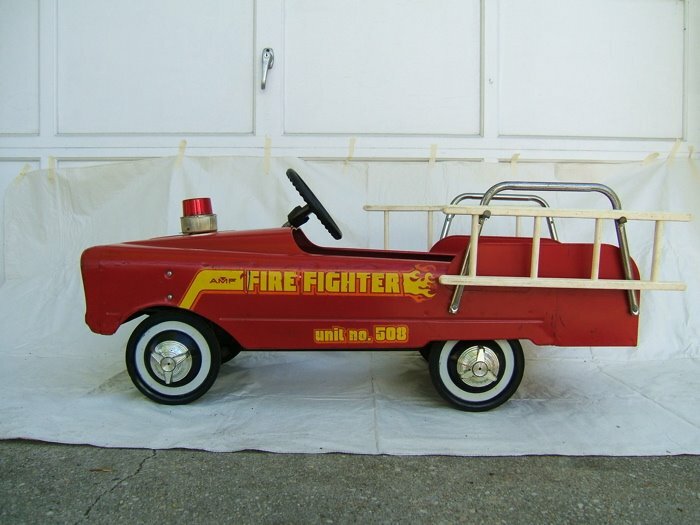 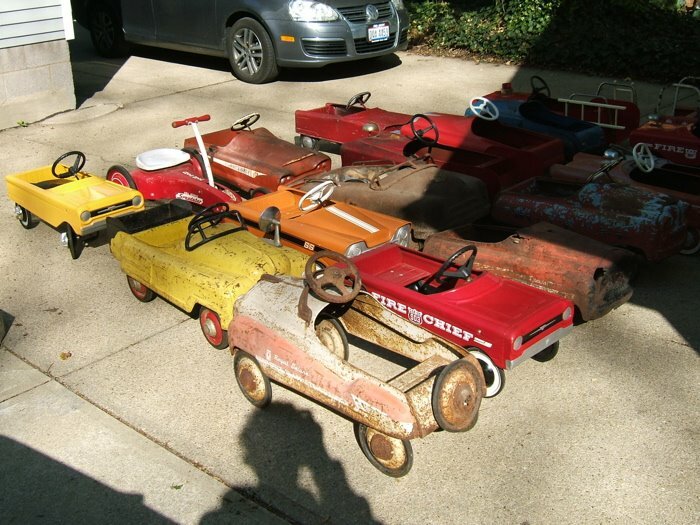 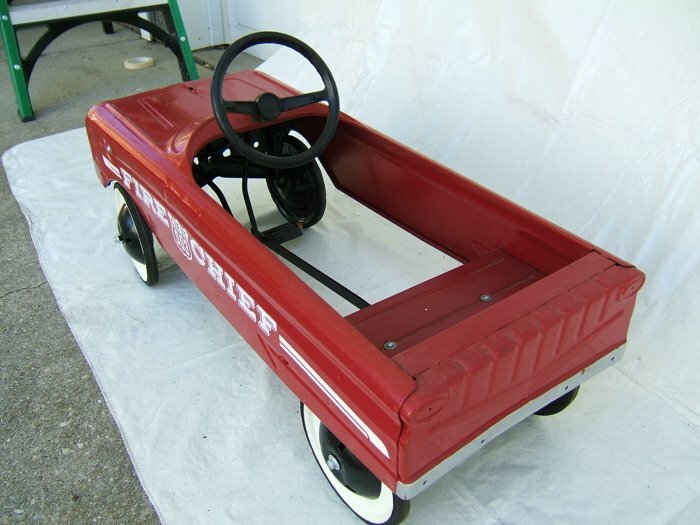 See the individual posts for descriptions and photos of each of these pedal cars. 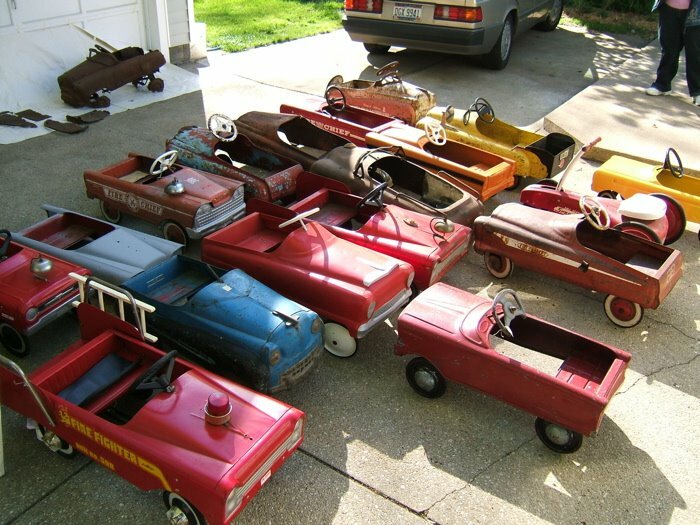 If you are interested in purchasing any cars, please email me at niceredshorts@sbcglobal.net thanks! 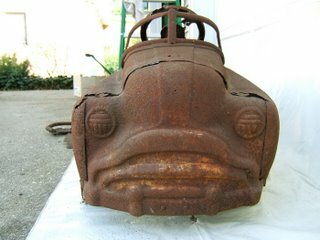 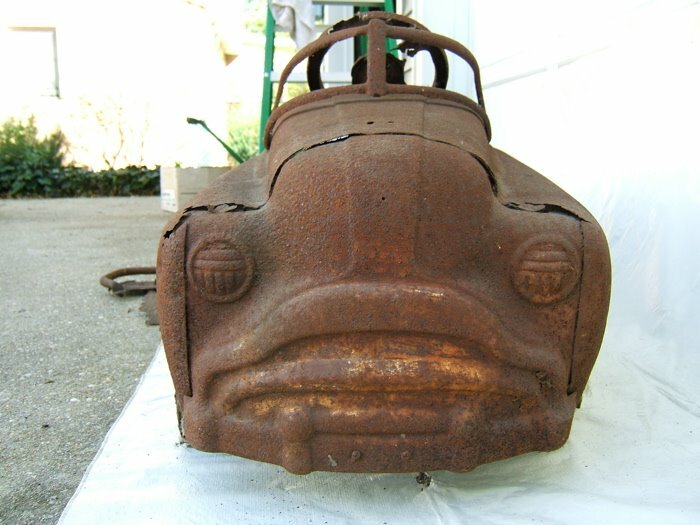 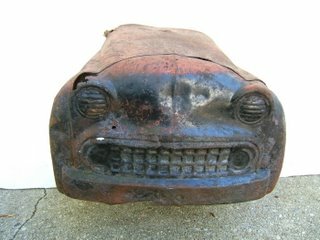 Murray "Sad Face" - Very collectible sad face front grill design. 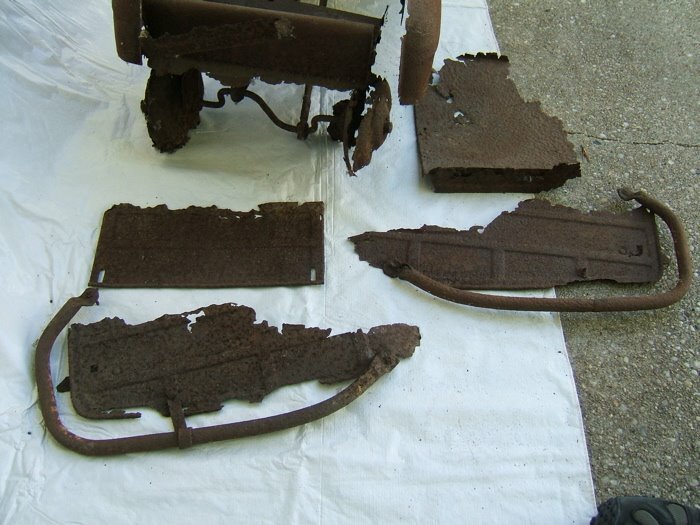 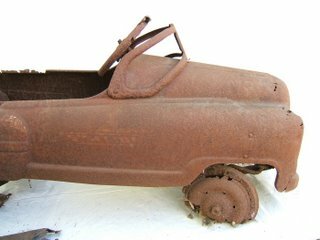 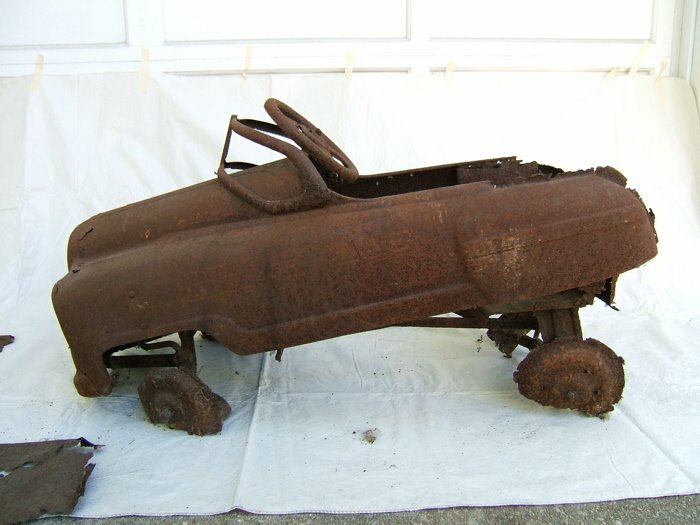 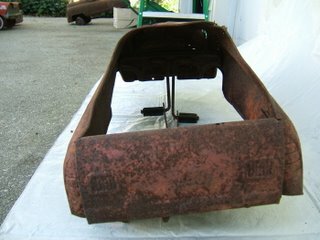 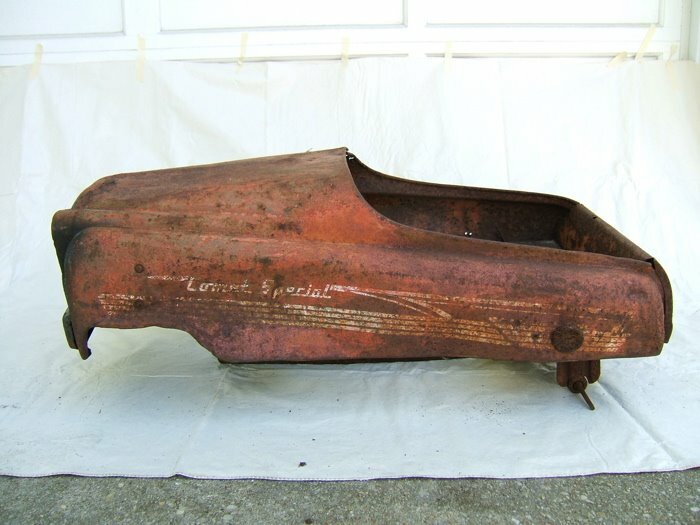 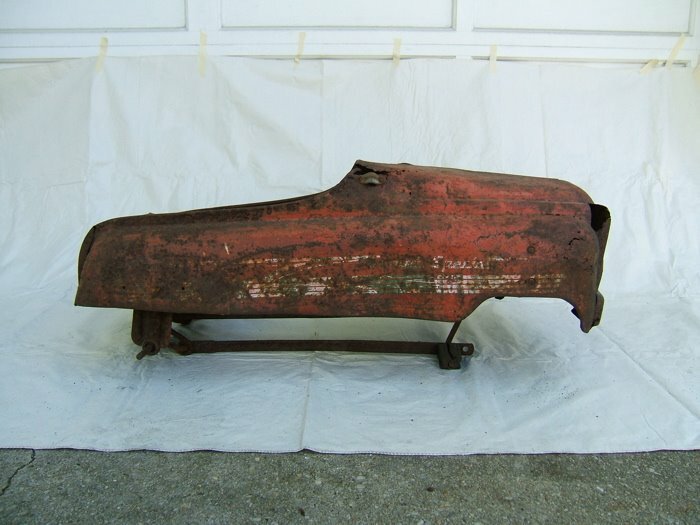 Body very rusted. Spare parts available. 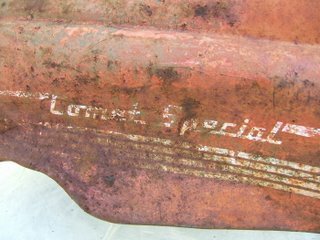 Murray "Comet Special." No wheels and the body is quite rusty. 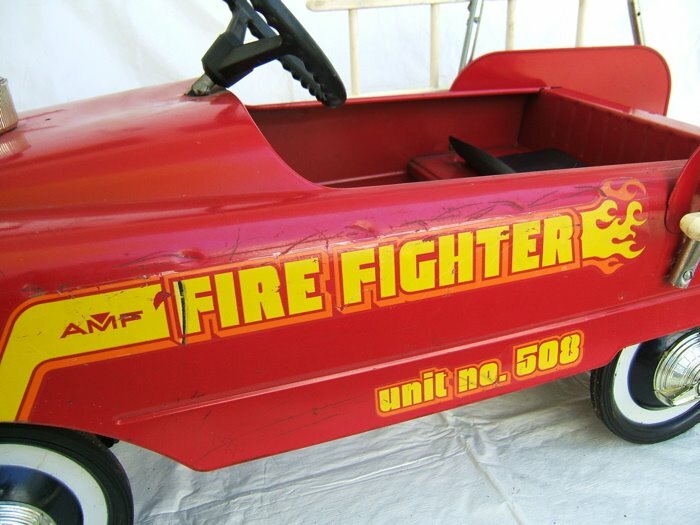 Original paint with graphics etc. AMF "Fire Fighter" shell only in original condition. 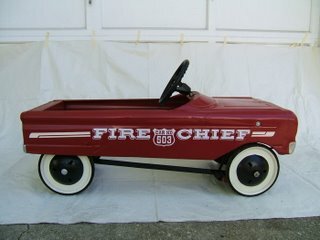 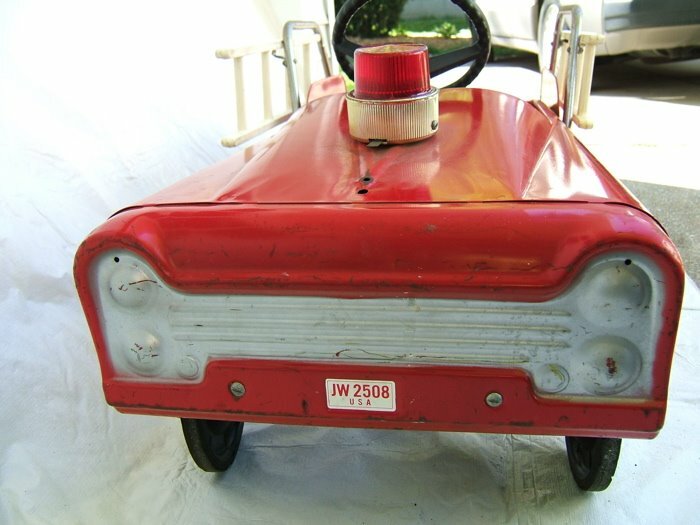 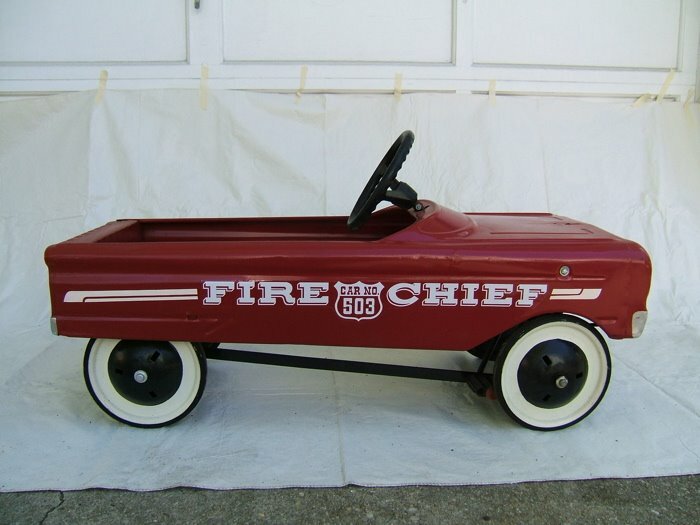 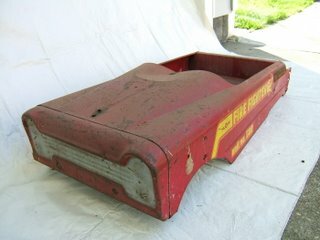 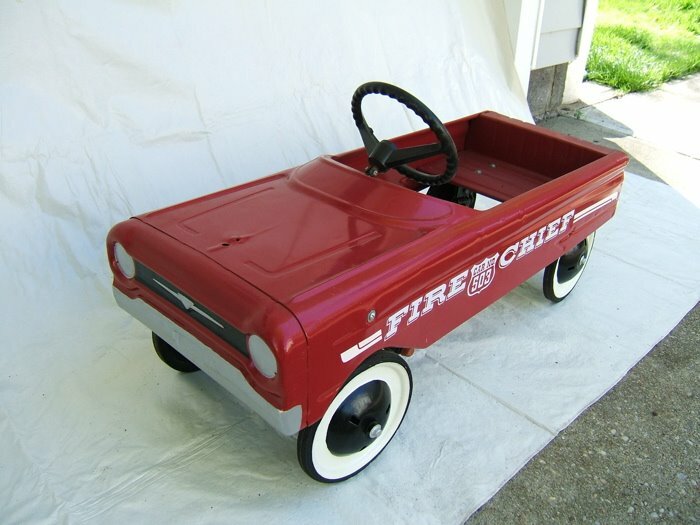 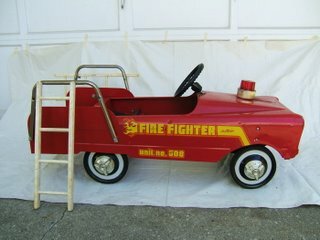 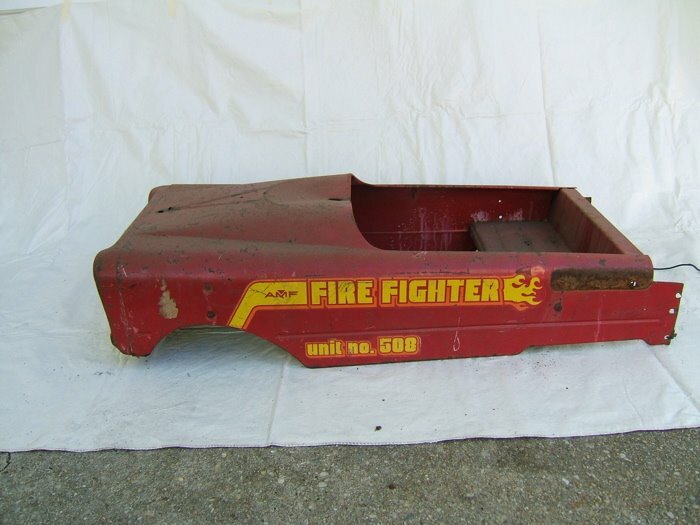 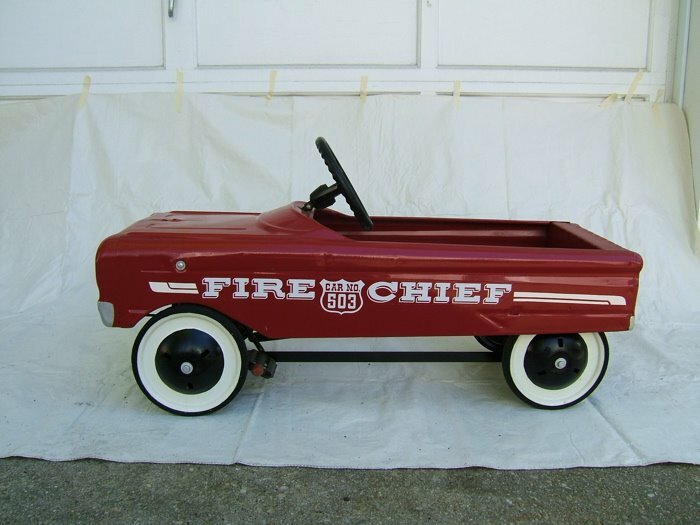 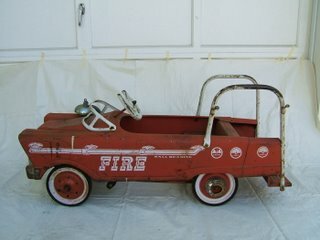 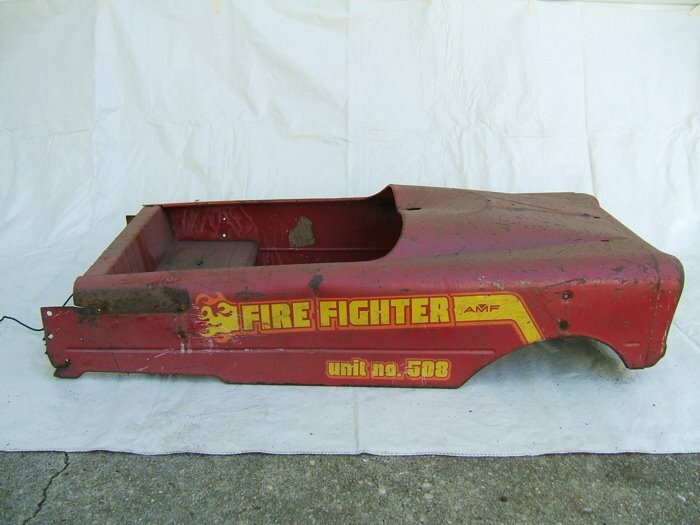 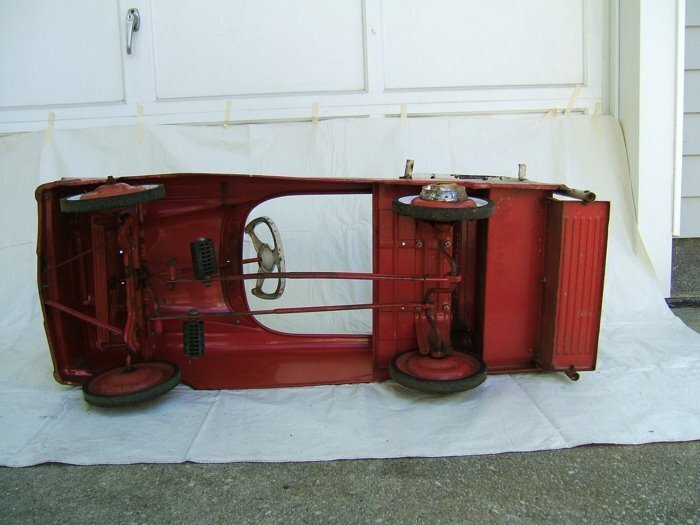 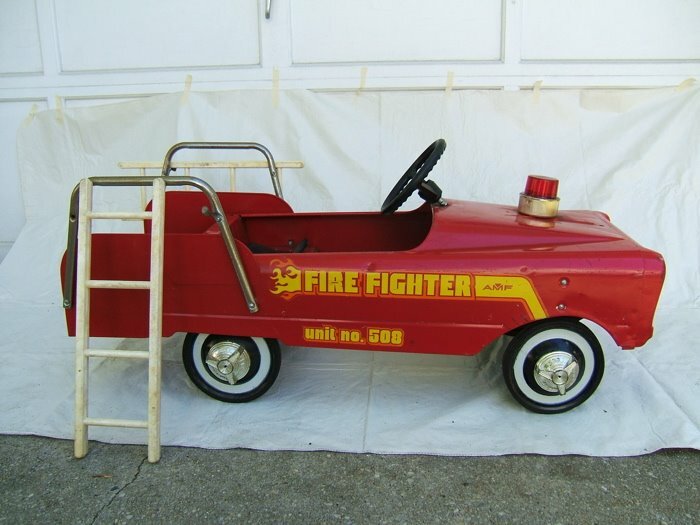 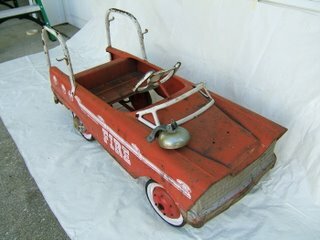 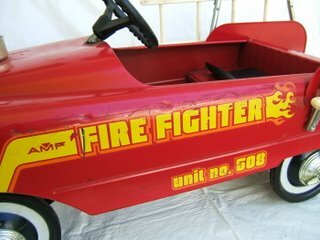 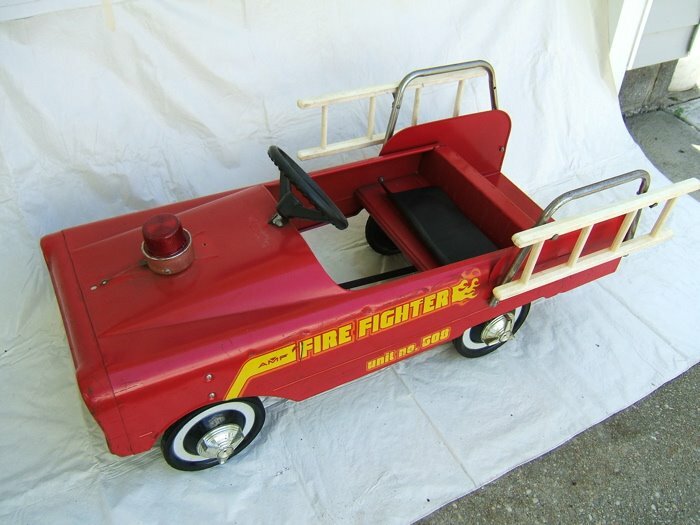 503 Fire Chief - Mostly restored with hub caps missing. 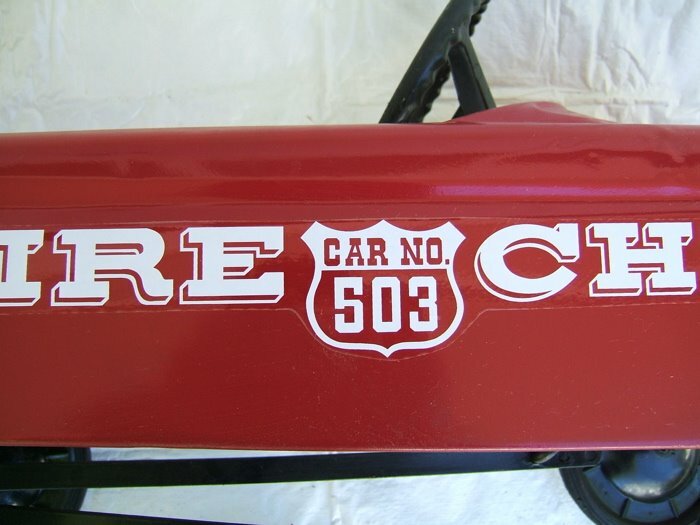 Great paint job and decals. 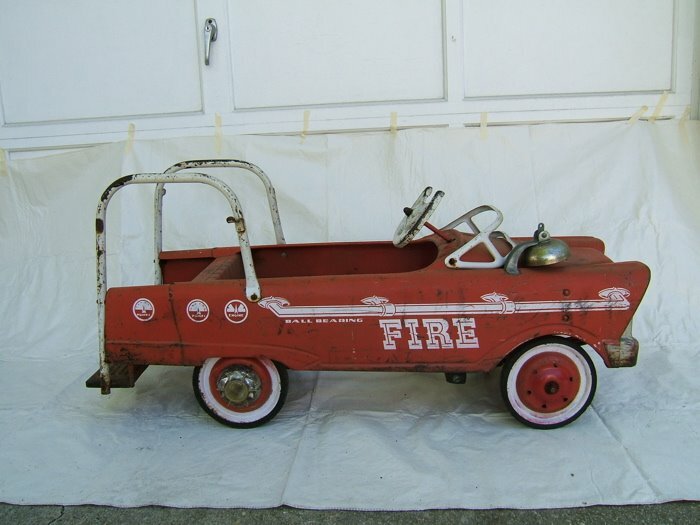 Murray "Ball Bearing" Fire truck. 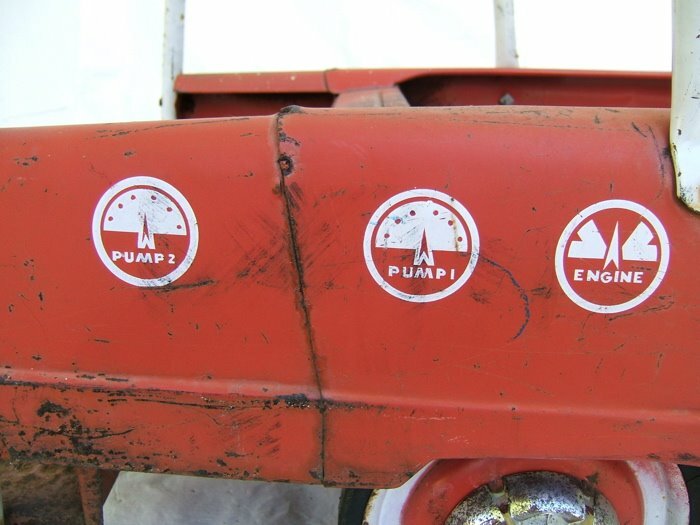 Original paint with great guage graphics on the side including "Engine, Pump 1 and Pump 2." 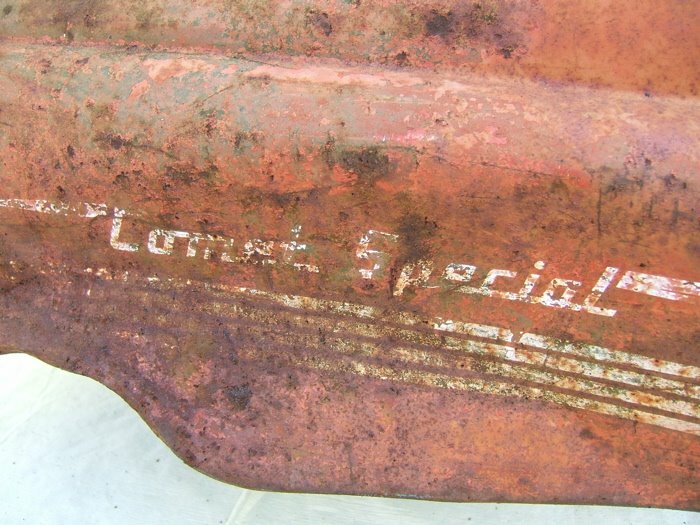 Some rust on body and missing two hub caps and one hubcap is broken. 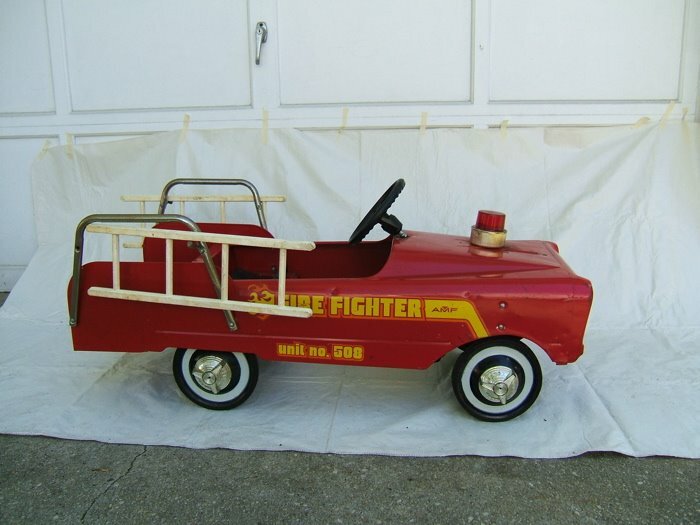 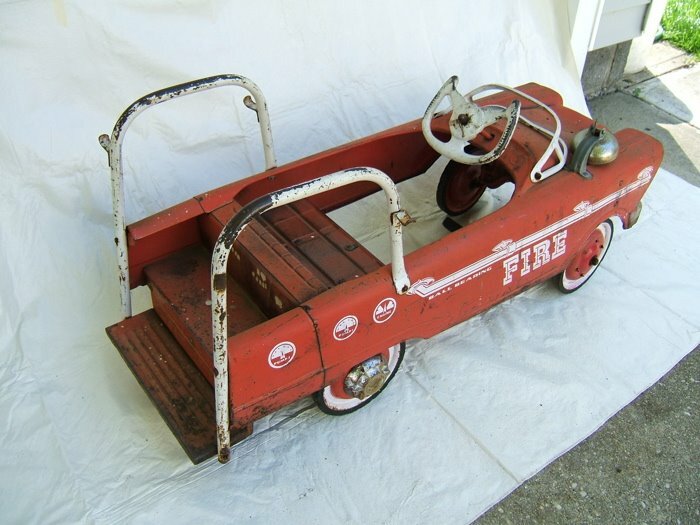 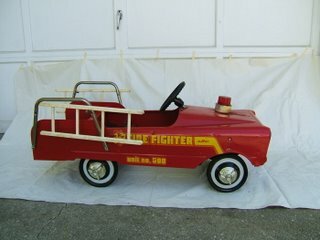 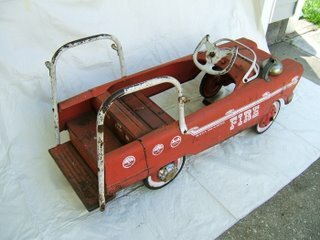 AMF "Fire Fighter" Good condition and contains all hub caps and ladders. 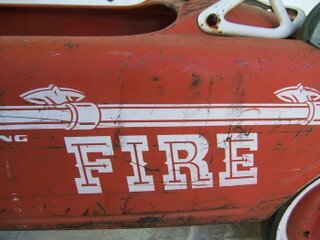 Great fire graphics on the side of this car.